Is meme making a form of art practice? Are memes art? Would you consider your ‘content’ output a part of your practice? Is that a selfish assumption to make? Blurring the lines between the white cube and the world wide web has been a hot topic of discussion to say the least for over a decade now. But it’s 2017. Net art is now so 2007. We are in the post post post post… era of cultural output. In 2015, Kim Kardashian released “Selfish”—a collection of selfies she’d taken since dawn of the era of the cellphone with a camera. Taken out of its originating presentation format, it was released in printed form as a hardcover book. If the discourse of visual art is one of self-expression, then producing content is = parallel = the same. 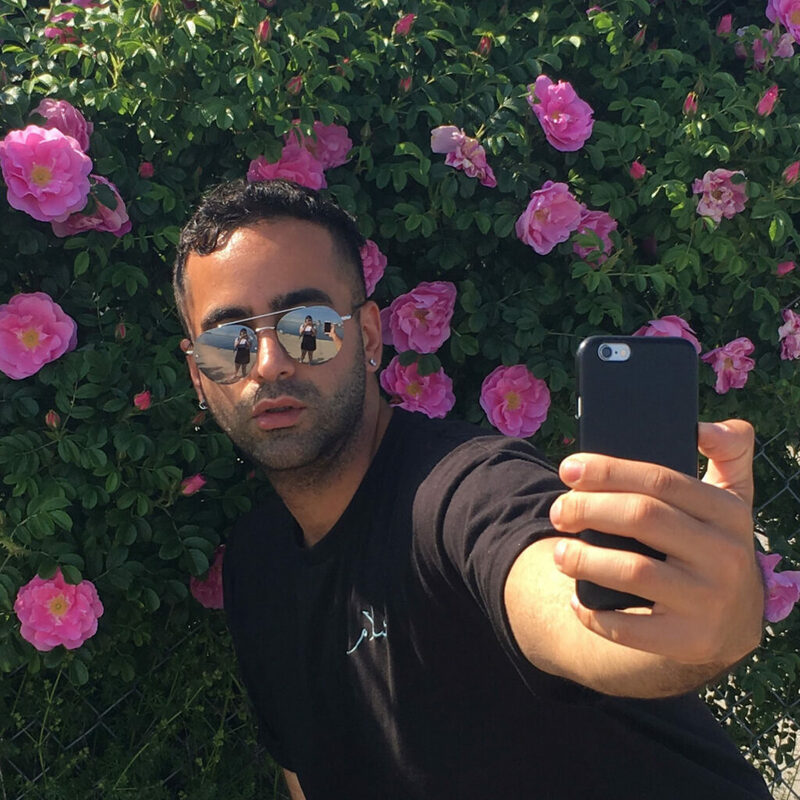 Mohammad Rezaei is an interdisciplinary artist, front end developer, curator, arts administrator and most recently, a meme maker as ½ of @chememecal_peel. Rezaei’s interests have led him to contribute to the establishment of several exhibition spaces and art festivals, extensive involvement with artist-run centers and galleries across Canada while maintaining an independent visual arts and curatorial practice. His recent curatorial projects have been funded through successful grants from the Canada Council for the Arts and the Toronto Arts Council. Rezaei has exhibited and curated exhibitions nationally in both commercial and artist-run spaces and participated in various art residencies including Avalanche! Institute for Contemporary art, TRUCK, Contemporary Calgary, The New Gallery, Xpace Cultural Center and the Drake Hotel. From 2013 to 2016, he was the Director of Programming at Whippersnapper Gallery in Toronto.